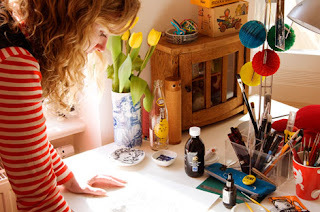 An online resource of advice and guidance for illustration graduates. Rilla Alexander is a member of the well known and respected art and design collective, Rinzen. The group’s posters and album covers have been exhibited at the Louvre and their large scale artwork installed in Tokyo’s Zero Gate and Copenhagen’s Hotel Fox. Today she gives Grain Edit readers a sneak peek into her studio and shares some of her favorite objects. For your Car rental services provider and whole of US. You can rent or hire any car in whole US at the cheapest price ever.